More Vapid Lacquer? Oh yes. YES. So much more. I might have spent a few days just playing with all these lovely things. Just you wait...but until then, how about a classic comeback to celebrate Vapid's birthday? Oh this shade. 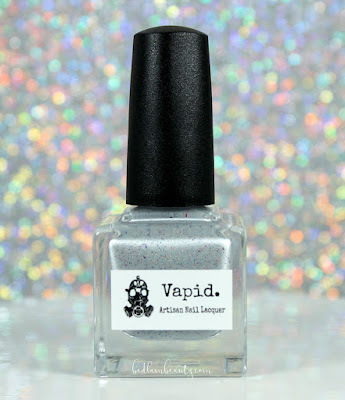 The original is a lemming for pretty much every Vapid fan, and as a thank-you gift to us, Madame Unicorn Krys brought it back. I have to admit, I was pretty excited when I opened the little paper wrapped bundle and saw this staring up at me. 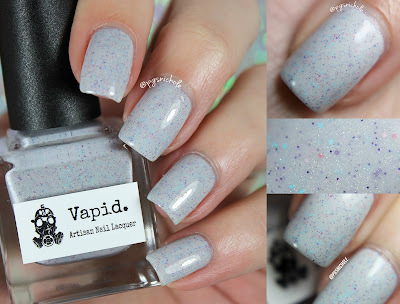 This milky, pale gray jelly-cream is filled with tiny micro glitter and a faint dusting of holo. It's feminine and delicate and unusual and ohmy. It applies nicely, and I didn't have to do anything weird to disperse the glitters across my nail evenly. 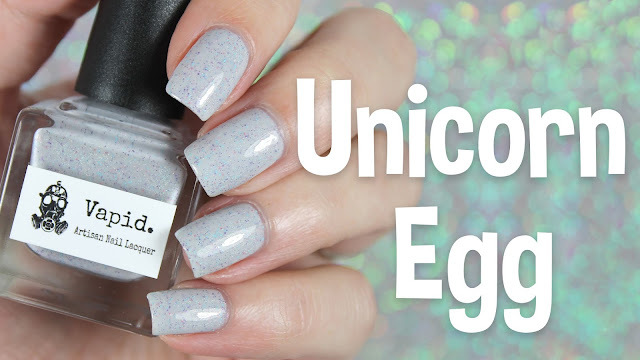 It definitely fills the Unicorn Egg shaped hole in my heart, but I still want to get the old one. For science. I used three thin coats plus a layer of Seche Vite for these pictures. If you want to get your hands on this classic, I would head on over to the Vapid shop as soon as you can. You definitely don't want to miss out. 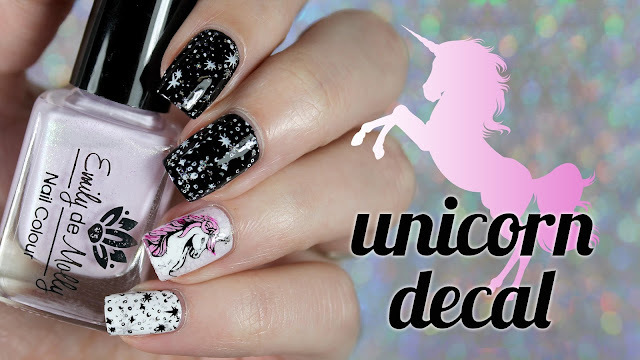 The nail art possibilities are endless! This is so pretty! White crellies do things to my emotions. Is it different than the original? I feel like there's something a bit different but beautiful regardless. Oh! That last picture is such a stunner. I love how this looks like one of those speckled Easter candies. That glitter mix is really gorgeous! 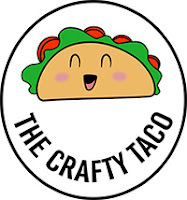 I'm so happy this made a comeback! One of my favs! This is really pretty and I love how understated it is. It was such an honor to swatch this polish and the rest of the polishes (re)released today. What a fun polish. It's such a unique combination of colors! This is beautiful! 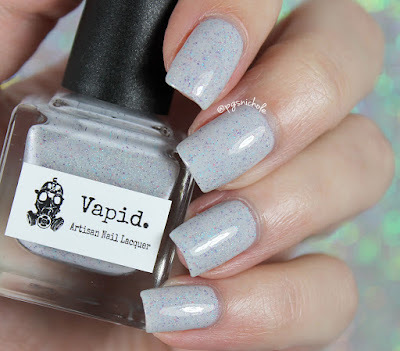 I love how it has a classic "indie" feel - the crelly base and the glitters. Just gorgeous! Gosh, this sure is beautiful!!! Wow! I completely forgot about this when it launched and I made a mental note to get it when I saw your photos! Darn me and my momnesia! OOO this is so pretty!